This collage 1,000 piece puzzle from Springbok has many music icons - can you name them all? 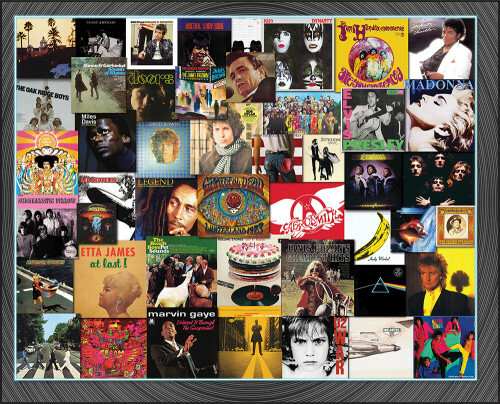 You'll find record album covers from Johnny Cash, Michael Jackson, Miles Davis, Etta James, and many more! moves along well but the borders can be a challenge. Very satisfying to see the result!